Because ginger root is one of those things that is absolutely necessary to some types of cooking, I try to always keep some around. But I’ve also struggled to find the best way to store ginger root. 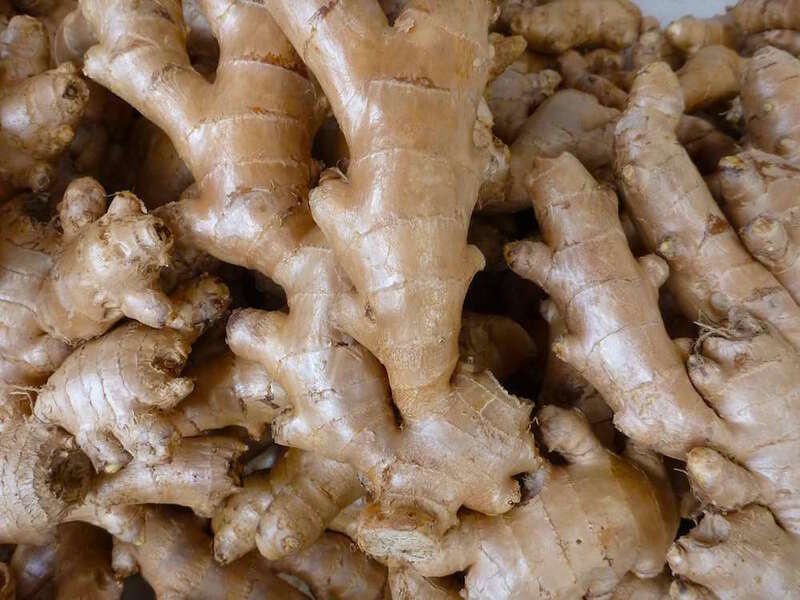 Ginger root is powerful. You don’t want to use too much at a time. It also goes bad quickly, drying out and becoming pulpy or stringy. I hate to have food spoil, so I usually buy only a small piece of ginger root at a time and store it in a ZipLoc bag. It’s a decent solution for the short term. But when we’re going offshore, away from supermarkets, I want plenty of ginger around for seasick remedies, tea, and cooking. Then I want to buy larger pieces and the ZipLoc method just won’t cut it. As with many problems, the answer is vodka. Plop the ginger root into a watertight or one or my trusty Snapware boxes, fill the jar with vodka, completely covering the ginger, seal and store in the icebox. Not only does this allow you to store ginger root longer, much longer, but you end up with ginger flavored vodka as well! Ginger vodka can be used to spice up any drink that uses citrus or pineapple juice. It’s also wicked good as the base for my Pumpkin Martinis. that’d be known as real pickled ginger. helpful on oh so many levels.